For sale this very cool Seamaster 120 on a NOS generic BoR bracelet from the 60s. The watch has a Portuguese import stamp on the top left lug. Cool and underrated, for a nice price. The watch is serviced and guaranteed. Asking 1900€ shipped. Contact me at clement@sabiwatches for questions. 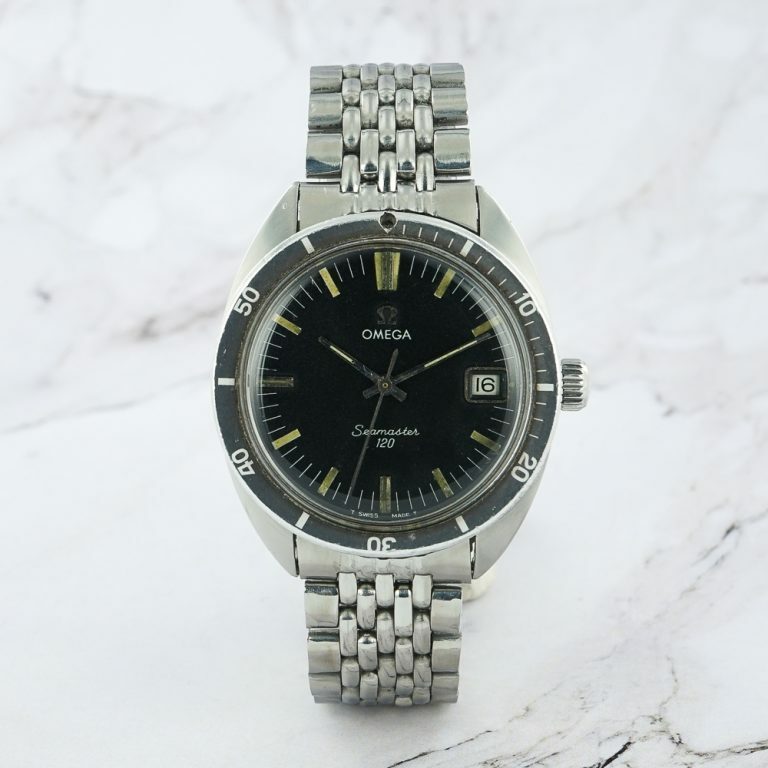 With the price explosion of higher grade Seamaster 300 over the past years, the Omega Seamaster 120 appaers today as one of the best value to be found in the dive watch range. 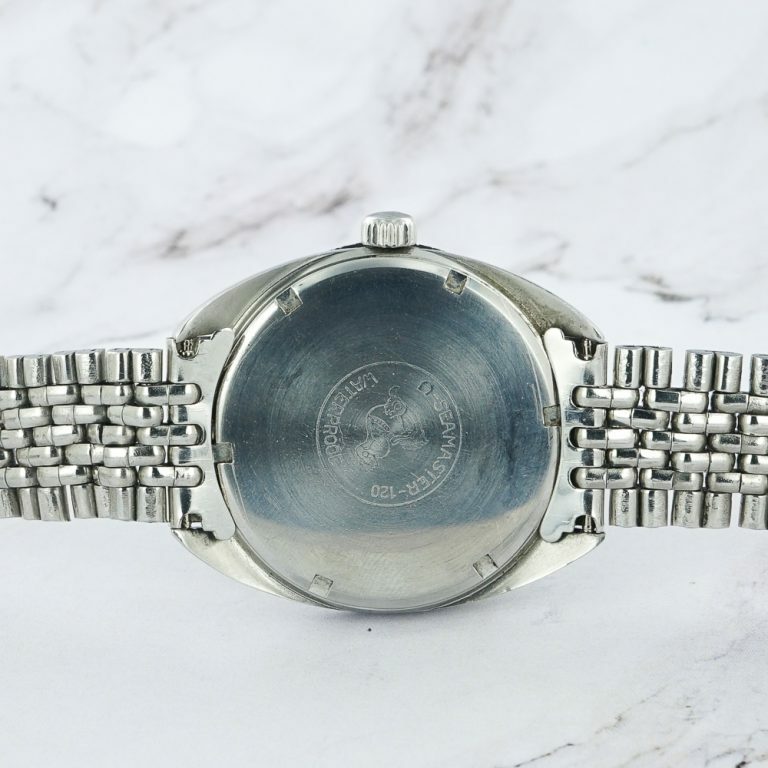 Originally created for scuba-diving, this very cool watch has all the codes, featuring a nice matte black dial, a black rotating bezel and bold tritium indexes. 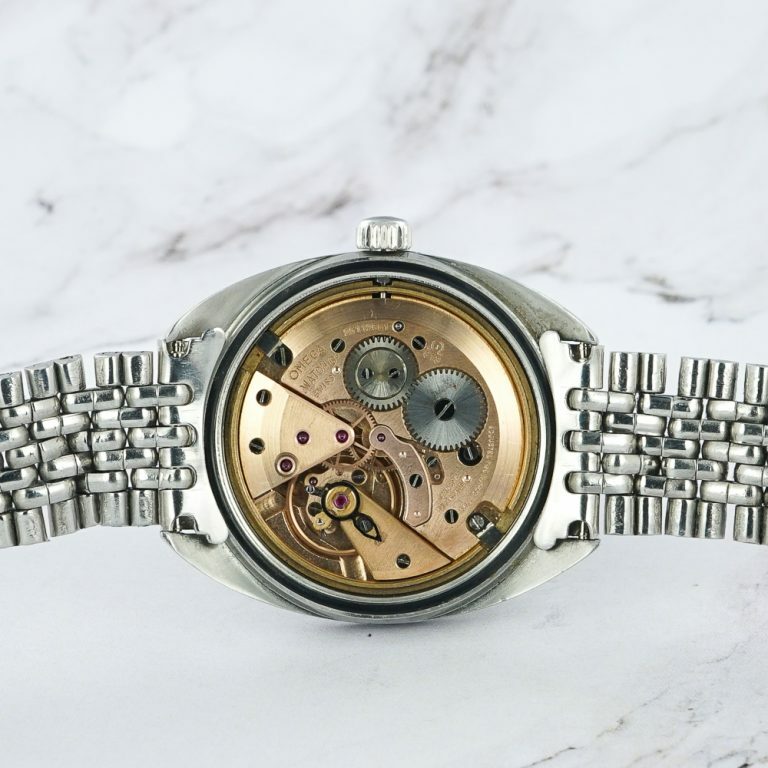 This version comes with the manual 613 movement, precise and reliable, and is much more coveted than the automatic later versions. For better coherence, we paired it with a nice beads of rice bracelet, but it works also great on a tropic or racing strap. Overall condition is very good. Dial is flawless, case shows very little wear, haws show light patina. The bezel shows some aging, in coherence with the overall watch. The movement was serviced, as usual.